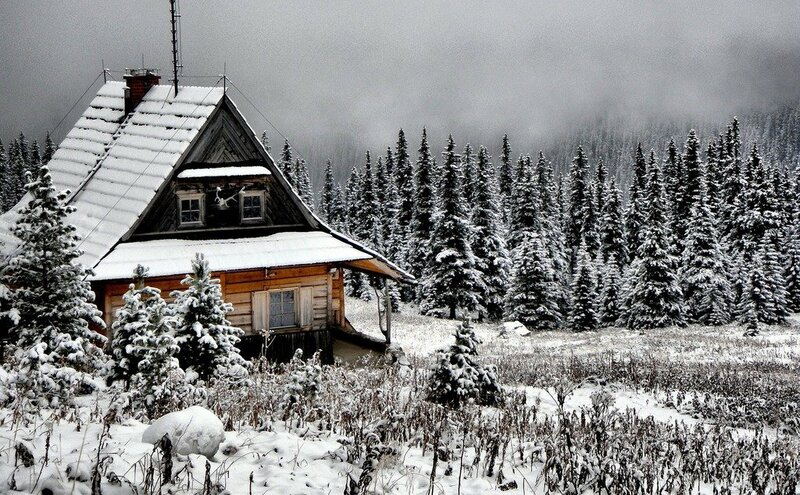 Many people love winter because of the beauty the snow brings to the world around them. While the glistening of snow and ice may create the perfect setting for a photograph, they can have disastrous effects to your roof and home. Although Punxsutawney Phil is predicting an early spring this year, there is still plenty of time for old man winter to send damaging snow and ice our way. Ice dams. Ice dams are especially dangerous because they often go undetected until visible damage occurs inside the home. An ice dam may form when snow begins to melt above the home's warm interior space and then freezes as it reaches the edge (or eaves) of the roof. The ice that form creates a dam that prevents proper runoff and can result in serious water damages to the home. Proper attic ventilation is key to the prevention of the formation of ice dams. A licensed professional roofing contractor can help create proper attic ventilation in a home. Collapse of the structure. 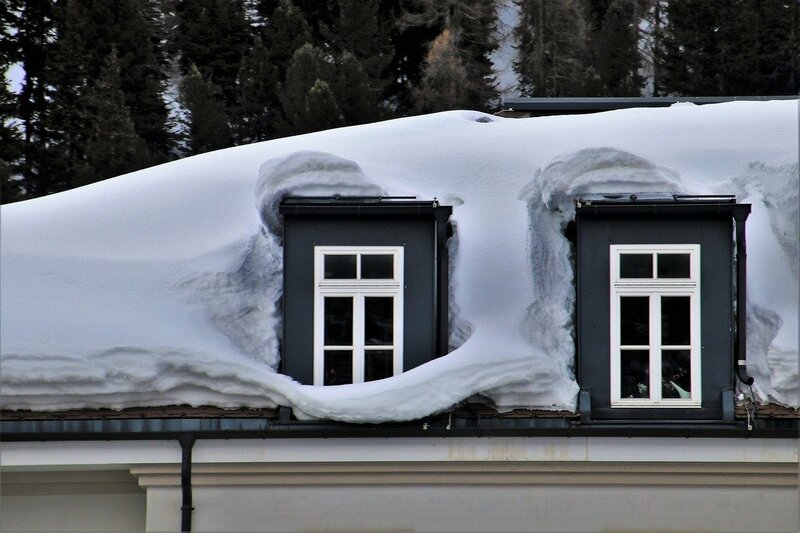 If snow is allowed to build up on top of the roof, it may become heavy enough to cause a collapse of the home or structure if not promptly removed. Rooftop snow removal can be a dangerous procedure and is best handled by a certified roofing company. Gutter damage. When a gutter is clogged with leaves, dirt, or other debris, the water is unable to freely flow and may result in the formation of icicles. 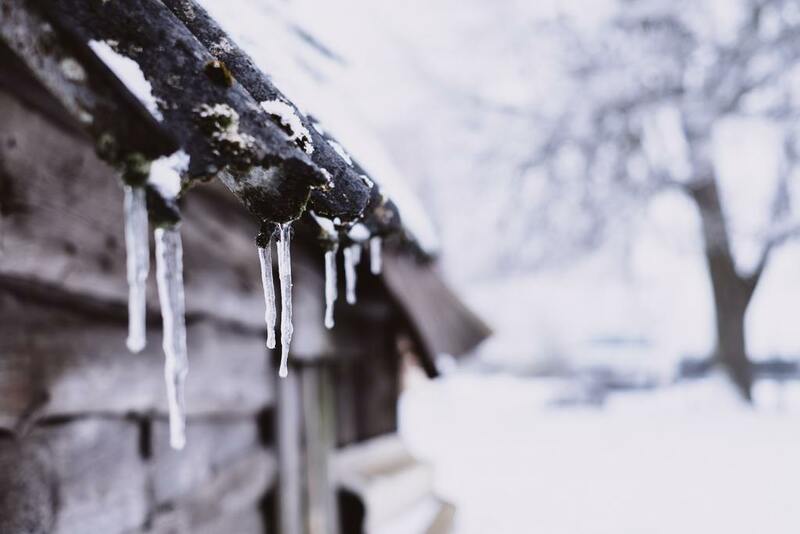 An icicle can become extremely heavy, which could result in the gutters collapsing and causing damage to the home and/or the roof. Damage from tree branches. A wet, heavy snow has the potential to pull tree limbs down so they come in contact with your roof, causing damage to the shingles. The weight may also cause a tree limb to break off from the tree and could potentially break through the roof of your home. Our professional roofing contractors can come and inspect your roof if you are concerned about roof damage from a tree. Leakage around skylights. Skylights are designed with weep holes to release interior condensation, yet those weep holes may become blocked from snow or ice. The trapped condensation may begin to leak into your home causing water damage to ceilings, structural components, and more. Proper maintenance of a roof is the key to preventing serious problems throughout the winter months. Having your roof inspected regularly by a roofing professional, including the inspection of rain gutters, will greatly reduce the impact that snow and ice may have on the roof of your home. The best time for inspection is before winter begins, but if you are concerned a problem may be forming on your roof, there is never a wrong time to have your roof inspected by a professional. Our highly trained roofing experts can quickly identify roofing problems and repair them before serious damage occurs. Have a problem that needs fixing now?